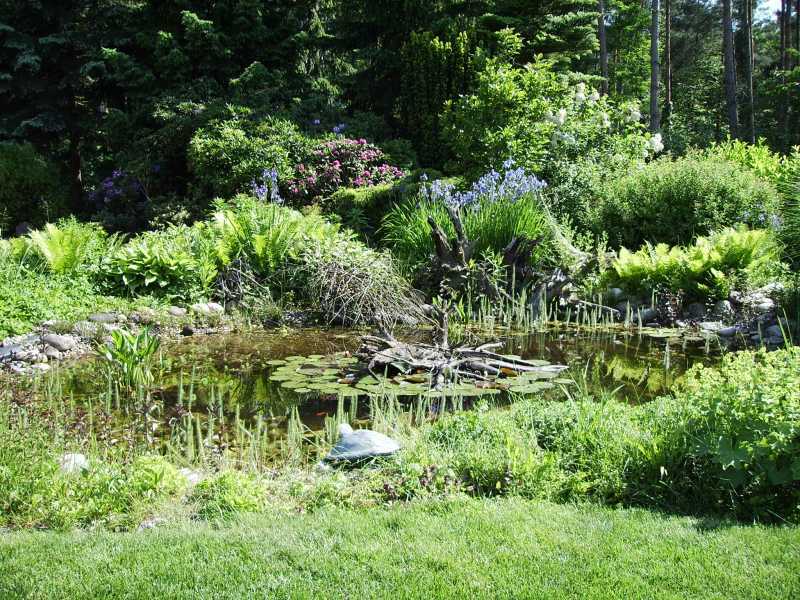 Summer: Ideally, a fenced-in garden pond that receives direct sunlight throughout the day. It should provide a variety of deep and shallow areas, with a platform (e.g. a log) for basking and a land area with a sandy slope for oviposition. Juveniles up to 3 years of age must be protected with wire mesh against predators such as cats, rats, snakes, crows and birds of prey. Transition periods: In the spring, most sub-species of Emys can be placed straight in the pond provided that the latter contains large, shallow areas which will quickly heat up in the sunlight; otherwise turtles should be kept in a spacious well-structured indoor vivarium with a basking ramp. In autumn, turtles should remain outdoors until they are ready for hibernation to allow their metabolism to wind down optimally. It is important to avoid warming turtles at this stage, as this will cause unnecessary disturbances in the transition process. Minimum size: for 2-3 adult Emys, 150cm x 60cm x 50cm; adult females require an additional dry land area for oviposition. Decoration: The tank should contain roots and aquatic plants as secure underwater hideouts and resting or sleeping places, some of which should be close to the water's surface. It is advisable to use stable artificial plants (preferably plastic, not silk), since natural aquatic plants generally do not survive the conditions found in turtle tanks. In addition, a floating log or large root that extends beyond the water should serve as a basking platform. 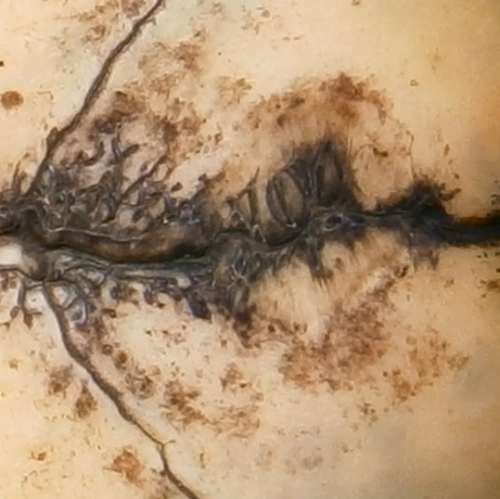 For adult females, a sandy area for oviposition must be available even if you have no breeding intentions, in order to avoid a potentially fatal dystocia (egg-binding). Filtration: Efficient but slow-flowing canister filter with the largest possible filter volume (potentially home-made), as turtles are heavy water pollutants. Appropriate filter material consists of a combination of foam, pumice, lava and zeolite. Frequency of maintenance: A sufficiently large filter need only be cleaned when the flow rate has markedly decreased, in order to avoid disturbing the nitrifying bacterial colonies required for the degradation of toxic materials. Likewise, the medium should only be partially replaced; the rest should be rinsed in tank water (not fresh tap water, as this may contain chlorine which would be harmful to the above bacteria). Every 2 weeks, the water in the tank should be partially replaced with fresh water and excess waste should be removed. However, for the same reasons as above this should not coincide with a filter medium change. A thorough cleaning of the tank should be necessary only rarely once the system is set up, and a constantly filthy aquarium or strong unpleasant odours are signs of a defective filtration system. Please note: Many people erroneously believe that replacing evaporated water with fresh water is sufficient to maintain a clean aquarium, but this is not the case! Evaporation removes only pure water, leaving behind the concentrated pollutants, and the addition of fresh water merely dilutes them back to their original concentration. Moreover, the salt content in the aquarium increases over time, as the additional water itself contains more salt. Illumination: When European pond turtles are kept indoors permanently, they require not only adequate temperatures but also very bright illumination, both of which are necessary to prevent these diurnal poikilothermic reptiles from dropping into a prehibernation-like state with reduced metabolism. Warmth and lighting can be provided by metal halide lamps (e.g. Lucky Reptile Bright Sun) with colour temperatures around 5000 °K. Alternatively, incandescent mercury vapour bulbs such as PowerSun or Active UV Heat can be used in combination with fluorescent tubes of sufficient wattage and appropriate light colour (e.g. Osram Lumilux Daylight). When using fluorescent tubes, electronic control gear (ECG) is preferable over conventional control gear, as the flicker of the latter is thought to cause far more distress in reptiles than in humans. For European pond turtles kept indoors only temporarily, mercury vapour lamps ( e.g. Osram HQL) are sufficient. However, these are not adequate for year-round illumination due to their poor light quality. TIP >>> Despite the resemblance, metal halide lamps are not the simple halogen lamps found in home improvement stores. The latter emit too far in the red spectrum to be used as the sole source of light in vivaria and should only be used as additional local heat lamps. When buying expensive light bulbs such as Lucky Reptile Bright Sun or Powersun/Active UV Heat, remember to obtain a warranty and keep the receipt, as these bulbs (esp. the 100W versions) occasionally blow after a very short time. Duration of illumination: Varies according to the natural daylight time of the season. In permanently dark surroundings, especially in basement rooms, dawn and dusk should be mimicked using a succession of lamps, and at night, a faint light should provide an orientation point (essentially an artificial ‘moon'). 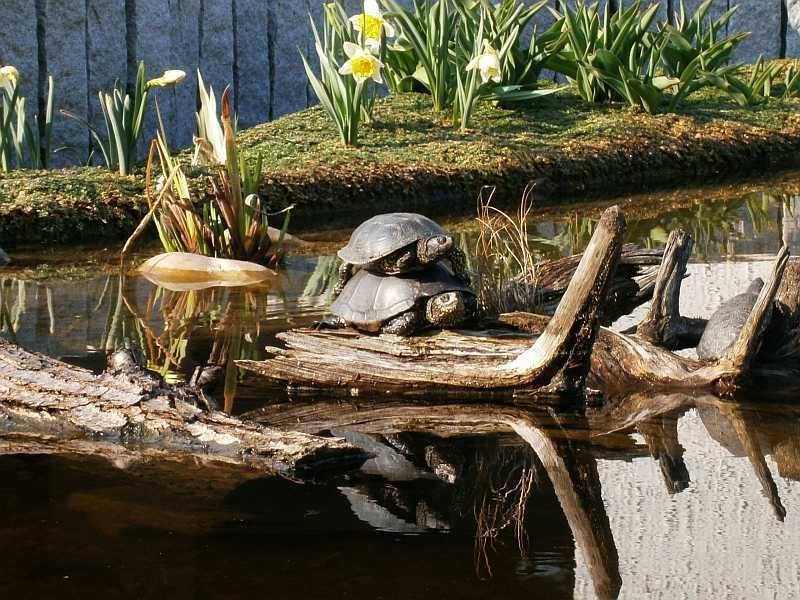 UV irradiation: Additional UV-lighting is superfluous for European pond turtles housed outdoors for most of the year and fed with a varied natural diet during the indoor transition periods. Those kept in an aquarium year-round, however, require UV heat lamps. If you do not provide them with UV-emitting metal halide lamps (Bright Sun) powerfull UV- lamps are required for at least 15-30 min daily, such as the OSRAM Vitalux/Radium Sanolux, in order to prevent metabolic bone disease and the resulting deformations of shell or skeleton. 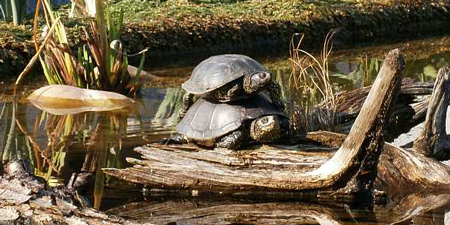 If you keep European pond turtles in an outdoor set-up using coldframes, make sure the covering transmits UV-B. Plexiglas Alltop transmits about 60% at 300 nm. Water temperature: During transition periods, ambient temperature is sufficient. For European pond turtles kept indoors during the summer months, the water temperature should be increased to 25°-27°C, with the heating turned off at night. 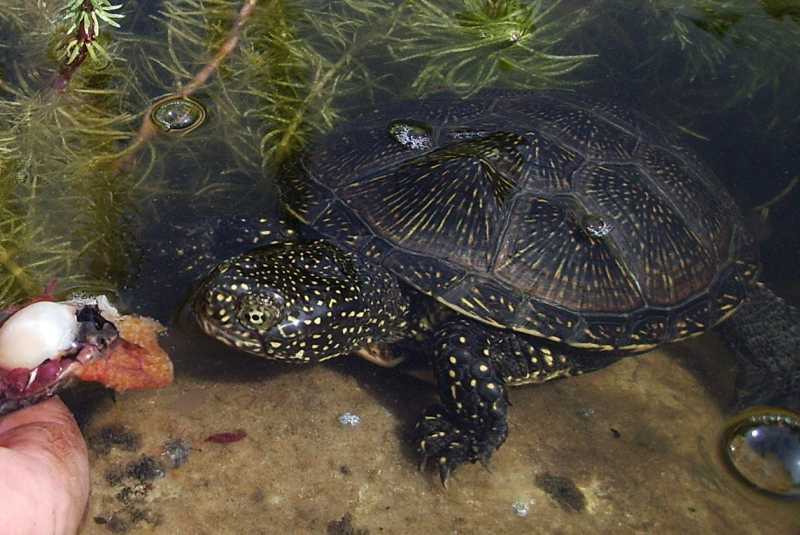 Like many other aquatic turtles, Emys are not overly sensitive to changes in temperature: The leap from a sunny dry spot back into the water can cause an abrupt temperature drop of over 10°C. Air temperature: Room temperature. The tank should remain uncovered, but protected from drafts. Some sources suggest that the air temperature should never drop below that of the water, but this is almost impossible to achieve in an open tank with heated water, since the Infrared irradiation of the lamps tends to heat up the solid matter rather than the air. In any case, this situation occurs regularly in a natural environment, e.g. in the evenings or during sudden weather changes. Basking spot: About 35 °C (temperature of the carapace, not the air). Be sure to use appropriate measuring devices! Terrarium thermometers with clear covering may yield erroneous results due to a green house effect. IR-thermometers work well. The construction of suitable garden ponds for turtles has been extensively described elsewhere, such that a repetition here would appear unnecessary. One additional consideration worth mentioning, however, is the importance of maintaining a natural temperature gradient between shallow and deeper parts of the pond even in the presence of a filter. The inlet tube for the filter should not lie in the lower half of the pond, and the water should be returned to the pond via a gentle steady flow. Sufficient oxygenation can just as well be achieved by distributing the outflow of the filter over a large stone or rock. Taking in water from the deepest point of the pond and returning it via a turbulent outpour results in a constant remixing of the different temperature zones, thus cooling down the shallower areas in an unnatural and undesirable manner. Turtles should be able to choose the water temperature appropriate to their current phase of activity. Please note, none of the following food items should be fed exclusively. Only a varied diet is a natural diet and will keep your turtles healthy in the long run, as it allows deficiencies in one type of food to be compensated by essential components found in other foods. A relatively strict weekly feeding scheme is the easiest way of achieving a balanced diet. Food types: Snails, slugs, water insects, earth worms, meadow plancton, Gammarus shrimps, dead flies, mussels, whole fish (smelt, guppies, trout), chicken or beef heart, mice, turtle pudding (several food components mixed and bound together with gelatine), dry turtle food, very good cat food (meat or fish content at least 60%), various aquatic, plants such as water hyacinthe (Eichornia crassipes), duckweed (Lemna minor) and water lettuce ( Pistia stratiotes ). Quantity: Juvenile Emys orbicularis feed voraciously, and their rate of growth increases with the amount of food available, as may their final adult size. However, a growth rate (defined in terms of carapace length, not body weight) exceeding 120% in the first year is mostly viewed as unnatural and potentially harmful; in the following years the increase in body weight should be less than 100% per annum. During their first year, juveniles should be fed twice a day, as much as they can eat within a few minutes; subsequently once daily with several days of fasting per week (particularly for turtles kept in outdoor ponds, as they also feed off natural sources). Of course, the same amount of food can also be distributed over several smaller meals. TIP >>> With a little patience and care, it is possible to accustom European pond turtles to being placed in a separate water-filled container outside of the main tank for feeding. This allows for a detailed observation of individual feeding habits, as well as preventing weaker Emys from being pushed away from the food. In addition, this method is beneficial for the water quality in the tank, since any remains (esp. of fish) that are left in the container can easily be discarded. The seasonal rhythm of high temperatures in summer, temperate transition periods and hibernation in winter allows for coordination of metabolism and hormone cycle in European pond turtles. It is hence essential both for successful breeding and for the health of the individual animal, and must be maintained in the artificial environment of the aquarium. For true hibernation, it is critical to mimic the natural temperature found at the bottom of the frozen lake, i.e. 4°C, since Emys orbicularis are still active at temperatures as low at 10°C. Hibernation in the garden pond itself, however, can be risky, since conditions in smaller ponds tend to differ greatly from those found in the natural environment. 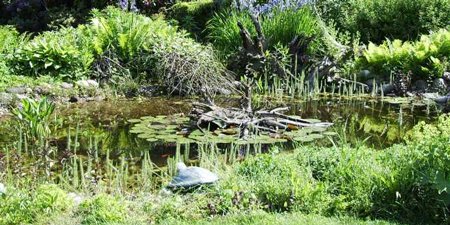 Specifically, the steep walls of garden ponds can cause European pond turtles that are stiff with cold to drown, as they cannot crawl along the bottom and shallow slopes of the pond to the surface for oxygen. In addition, excessiv sediment in the relatively small garden ponds quickly leads to suboxic or even anoxic conditions, thus preventing the extra-pulmonary oxygen uptake via the gut which usually occurs under the ice. Ideally, Emys orbicularis should be left in the pond until they go into hibernation themselves. They can then be transferred to a tub containing cold pond water in November, where they should stay until March (although juveniles may be transferred to an aquarium earlier). The condition of the turtles should be monitored occasionally. If there are problems, hibernation should be interrupted and the turtle should be taken care of indoors. Even under ideal conditions, European pond turtles will occasionally succumb to diseases, or else may be in poor health upon initial purchase. Signs of sickness include unusual behaviour during basking (e.g. immobility when startled), slanted swimming, difficulties with diving, apathy, or loss of appetite. Any European pond turtle exhibiting these signs must be seen immediately by a vet with specific experience in the treatment of chelonians or at least reptiles in general, as it is almost certainly critically ill. Unfortunately, there are not many specialists available. A few lists can be found on the web (see link page), but remember that these are only produced by other reptile owners and have generally not been verified. Your safest bet are the veterinary hospitals found at some universities, as well as veterinarians specializing in exotic animals. Seeing a ‘normal' vet, on the other hand, is generally not very helpful and at best results in a useless “vitamin injection”. In addition, most pet medications are designed for mammals and are not necessarily suitable for reptiles hence the vet must be knowledgeable in this field. Before buying a turtle, it is thus important to consider that the closest suitable vet may be hundreds of miles away and accordingly expensive. The initial cost of the turtle is only a small fraction of what is yet to come! TIP >>> Specialists publish in their area of expertise! Emys orbicularis kept in a glass aquarium can make almost tame pets, but like all aquatic turtles they tend to be more timid when kept in a pond, especially during basking. Hand feeding can help make them more trusting. Adult males may fight each other or harass females to the extent that they must be separated. Ideally, one male should be kept with several females. It is difficult to keep Emys orbicularis in the same tank as fish or invertebrates, with a few exceptions (e.g. Ancistrus). Smaller fish and snails are generally eaten very quickly, or else they don't survive in the poor water quality found in most turtle tanks. Conversely, some fish may be dangerous to small turtles: Large algae eaters (sucking loaches) sometimes become aggressive when older and may attach themselves to the carapace thus preventing the young Emys from rising to the surface. Similarly, pond fish such as the lively and strong golden orfes may cause problems for European pond turtles e.g. by disturbing their hunting and feeding periods. Until very recently, Emys orbicularis was seen as a monotypic species with a very large area of distribution, but by now 13 sub-species have been identified, although these are difficult for the layman to recognize. Unfortunately, the late classification has resulted in many sub-species hybrids. Thus, when buying an Emys it is important to determine the sub-species or origin of the parents, giving preference to purebreds and maintaining these as such.